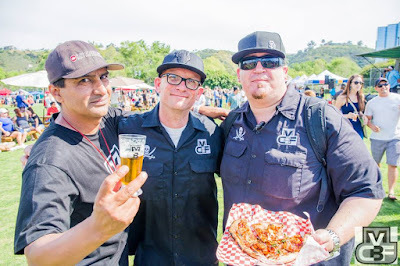 The Mission Valley Craft Beer & Food Fest is one of the top March events! Spring is in the air! 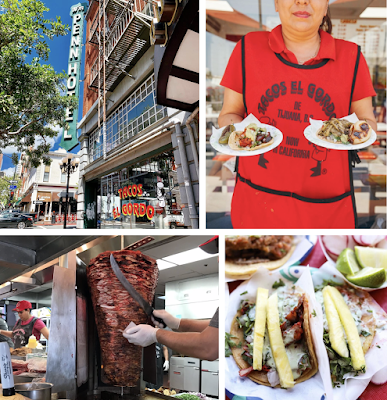 The days are getting longer, flowers are blooming, the weather is warming and that means there are plenty fun & delicious happenings around America's Finest City. This March will offer a buffet of epicurean events all across San Diego - from beer fests and pairing dinners, to wine tastings, to a museum party, and even a cake show. There are so many enticing events this March, so read on, get your tickets, mark your calendars and enjoy! March 1, Dragonette Wine Dinner At Madison - Celebrate Dragonette Cellars finest wines in one of San Diego's newest venues - Madison on Park in University Heights. Enjoy 4 courses prepared by well-known San Diego Chef Mario Cassineri of BiCE and wines selected by John Dragonette himself, who will host the evening and introduce diners to the best wines his numerous vineyards are producing. There will be some surprises, including the first-ever pouring of one new vintage. The wines will also be available at special pricing only available at this event. Tickets are $60. March 1, Five Course Alesmith Beer Dinner At Leroy's - Alesmith is heading to Coronado for a 5 course beer pairing dinner at Leroy's Kitchen + Lounge. Enjoy dishes like tuna tartare with citrus and crispy capers paired with Lemon & Ginger Alesmith X, coffee-cured pork confir with toasted hazelnut risotto paired with Nut Brown English-style ale, and more. Tickets are $55. 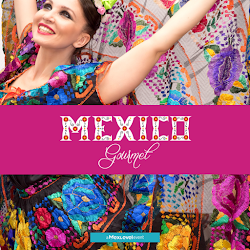 March 1, Agave Dinner At The Patio On Goldfinch - Let your hair down and get wild with a tequila dinner! Enjoy a five course agave-inspired feast featuring Tequila Arette expertly paired with cuisine by The Patio on Goldfinch Executive Chef Andre Fuentes. Tickets are $80. March 2, Five Course Wine Pairing Dinner With Rob Murray Wines At Circa - University Heights' Circa will host Rob Murray Wines for a 5 course pairing dinner. On the menu for the evening are pan seared scallops, fried green tomatoes, lamb shank, fried chicken and so much more. Tickets are $75. March 2, Modern Times Beer Dinner At Real Bar & Bistro - The team at Modern Times is joining forces with Chef Willie at Real Bar and Bistro in Solana Beach for a 5 course beer pairing dinner. Reservations can be made by calling (858) 793-7325 or emailing info@realbarandbistro.com. This one will sell out! Tickets are $65. March 3, Dinner & Concert @ Planet Rooth Design Haus With Sofia Talvik - Planet Rooth is proud to present Swedish Americana artist Sofia Talvik live at Planet Rooth Design Haus, the art gallery/event space/furniture shop/showroom in Bankers Hill. Proprietor Gustaf Anders Rooth is cooking up a delicious menu that includes Swedish style spagetti Bolognese (veggie option on request), Gustaf's traditional Swedish salads, and special garlic breads along with cheese and fruit trays. Mexican wine and beer will be paired with dinner. Tickets start at $15. March 3, Think, Drink, Science At Ballast Point - The 2016 San Diego Festival of Science & Engineering will show that science exploration isn’t just for the kids! Think, Drink, Science welcomes educators, parents, fellow science enthusiasts, and beer lovers to come learn about “beer-ology" - the science behind the brewing process while enjoying delicious Ballast Point beers and appetizers. Take a tour, extract a strand of DNA, and learn about why certain foods taste so good with your beer. Tickets are $25 and include 4 beer and appetizer pairings. March 3-12, San Diego CityBeat Burger Week - For ten whole days, 50 participating eateries all across San Diego will offer $5 burger specials and $10 combo deals. We love this yearly event, as it offers incredibly delicious value. 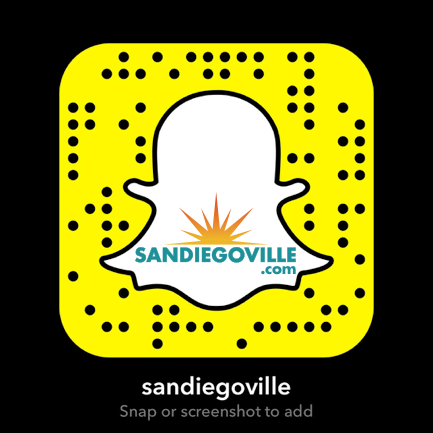 We look forward to eating burgers at such restaurants as Carnitas Snack Shack, The Balboa Bar & Grill, The Brew Project, Crazee Burger, Slater's 50/50, Quad Alehouse, Small Bar and more! Let burger week commence! March 4, The Spring Thing: Modern Mutiny At The San Diego Museum Of Contemporary Art - Ever had dinner and drinks in a Museum? The Spring Thing: Modern Mutiny voyage begins with a specially curated craft cocktail reception, followed by a family-style dinner masterminded by San Diego's Kettner Exchange. Executive Chef Brian Redzikowski and Beverage Director Steven Tuttle are teaming up with the folks at Malahat Spirits Co. to create a stellar menu that pairs Kettner Exchange's unique cuisine with specially crafted rum cocktails. 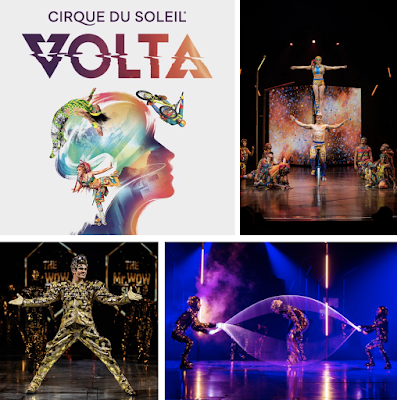 Following dinner, cruise into the Late Night Party with live music hosted cocktails all night long, as well as bites from Nomad Donuts and Starlite, and so much more. Tickets for The Spring Thing Dinner (includes access to the Late Night Party) are $175. Tickets to The Late Night Party only are $50 (includes hosted drinks all night, three live musical performances, and more). March 5, Rock Star Beer Festival - Toast to the best of California's craft beer and live music at San Diego's Rock Star Beer Festival, taking place at the Silo in Makers Quarters in the East Village. 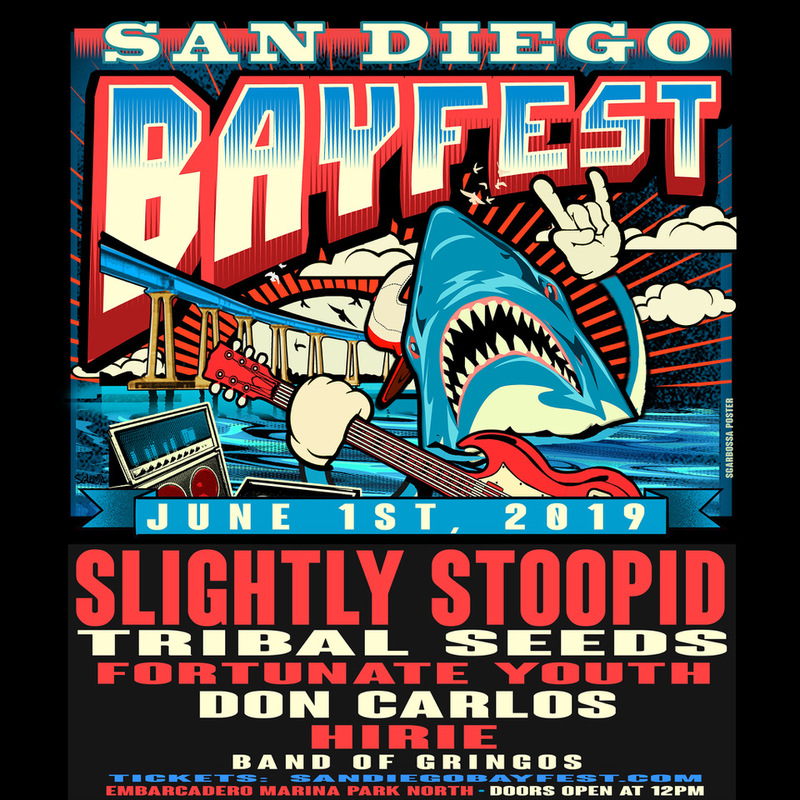 From the crew behind the San Diego Beer & Music Festival and Beer X, Rock Star Beer Productions is bringing it's namesake festival back to San Diego for the 4th year after selling out the past three incarnations. 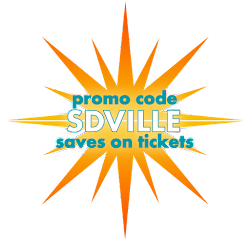 Tickets start at $35 and promo code SDVILLE saves $5 per ticket. March 5-6, Cherry Blossom Festival At The Japanese Friendship Gardens - The annual Cherry Blossom Festival at the Japanese Friendship Garden returns for its eleventh year, combining both cultural education with family fun, all packed into one great weekend! There will be a beer and tea garden, Japanese street food, live entertainment and more. Tickets start at $8. March 6, Russian River Brewing Company Brunch At Toronado - The latest in Toronado's continuing series of Sunday brunches brings famed NorCal brewery Russian River to San Diego. 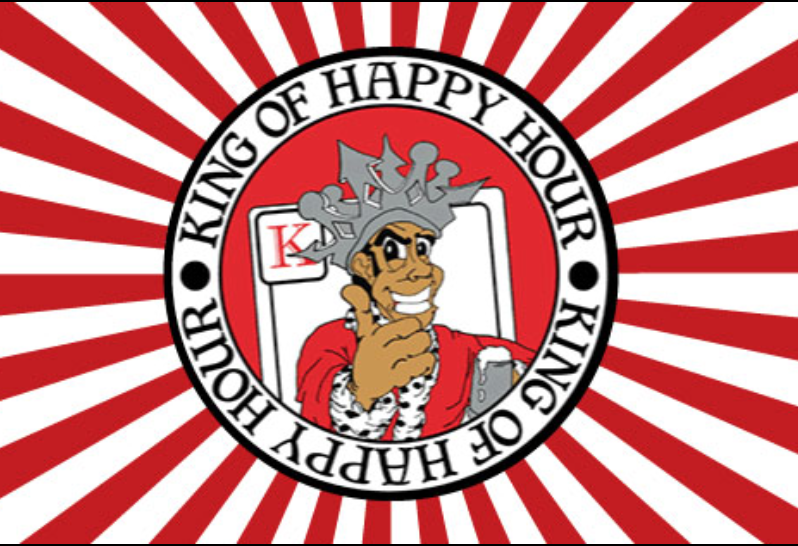 Owners Vinnie & Natalie Cilurzo will be on location to talk about their fantastic beers. The theme of the food is 'wild game.' Can anyone say "offal"? It's going to be amazing and will likely sell out in a flash. Tickets are $140. March 8, Five Chef Societe At Small Bar - After a brief hiatus, one of the city's top beer and food pairing dinner series is tanned, rested and ready for its triumphant return. The Five Chef Societe is back and better than ever at Small Bar, still pairing the brilliant beers from Societe Brewing with great food and fun. New to the fold are Karen Barnett, talented chef owner of Small Bar, and Tyson Blake, the brains behind the food at O'Brien's Pub. Adding to the luster are three returning members - Chef Rich Sweeney from Waypoint Public, Chef Jeff Bonilla from Evolve Cuisine Forward, and Chef Karl Prohaska from the Mad House Comedy Club. Tickets for this 5 course celebration of food and beer are only $45 for hors d'ouevres and the five course dinner with pairings. March 8, Festa Della Donna Dinner At Cucina Enoteca - Get ready for a women’s collaboration dinner at CUCINA enoteca Del Mar. Join Chef Rosa from CUCINA enoteca Del Mar along with amazing women chefs and females in the local food scene for a four-course dinner and wine pairing benefiting Center for Community Solutions. Collaborators for this dinner include chefs Karrie Hills (formerly at The Red Door), Katie Grebow (formerly at Cafe Chloe Chef), Donna Antaloczy (Ironside Fish & Oyster) Gina Freize (Venissimo Cheese) and Lisa Redwine (Regal Wine Co.). Tickets are $125. March 9, Belching Beaver Beer Pairing Dinner At Tom Ham's Lighthouse - Get ready for Tom Ham's next installment of their Brews, Views & Chews Local Beer Pairing Dinner Series. This one is hosted by Executive Chef Kyle Kovar and Belching Beaver Brewing! The 6 course menu includes some enticing dishes, like the peanut butter and Foie with plum jelly on toasted mini brioche paired with Peanut Butter Milk Stout; and duck breast with green garlic gnocchi, pea tendrils, pickled pink turnips and mango gel paired with Chili Mango IPA. Tickets are $65. March 9, Restoring Valor Fundraiser At Border X Brewing - A fundraiser for the Deported Veterans Support House of Tijuana, this event will take over Border X Brewing in Barrio Logan for a 6-course tasting dinner designed and crafted by Masterchef Season 7 Winner Claudia Sandoval and 4th Place Runner-Up Nick Nappi. Four beer sampler will be provided by Border X Brewing and there will also be door prize drawings for some incredible prizes, a silent auction, live music, as well as a viewing of the Perspectives in Art exhibit. This event benefits deported veterans. Tickets are $75. March 9, Brewmaster Dinner With The Lost Abbey At Waypoint Public - Executive Chef Rich Sweeney will open up the Bear Den for a 7 course dinner paired with craft beers from The Lost Abbey. Tickets are $99 and diners can email events@waypointpublic.com to reserve your spot. March 12, Best Coast Beer Fest - Touted as actor and comedian Will Ferrell’s beer festival of choice, the Best Coast Beer Fest returns to Embarcadero Marina Park South on Saturday, March 12 for a day of unlimited craft beer, food samples from area chefs, live entertainment, and possibly even an appearance by the Anchorman star himself, all to raise money for Cancer for College. 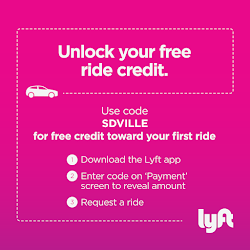 As usual, promo code SDVILLE saves on tickets and we are also raffling off 2 VIP passes. Tickets start at $45. March 12, An Evening In Baja At The Wine Pub - Baja's best wineries are coming to The Wine Pub for a taste of Valle de Guadalupe in Point Loma. Baja-wine connoisseur Fernando Gaxiola will lead guests on an eclectic tasting tour of five wines from Mexico's wine country, paired alongside specialty prepared tapas from The Wine Pub. Tickets are $25. March 14, Abnormal Dinner Series #13 With Saint Archer & Mike Arquines At The Cork & Craft - Installment number thirteen of this popular supper club, this one combines beers from Saint Archer Brewing Company with dishes from Chef Philip Esteban of Rancho Bernardo's The Cork & Craft. There will be three beers specifically made for the dinner including a collaborative Guava Berlinerweiss between Abnormal Beer Co Head Brewer, Derek Gallanosa, and Saint Archer Lead Brewer, Nick Marron. The guest chef will be Mike Arquines, Owner of The Lab Dining Sessions and Roaster of Mostra Coffee who will be taking over half of the menu. Tickets are $99. March 14, Meatless Monday "It's A Mexican Spring" At Cueva Bar - Three native San Diegans come to Cueva Bar for a four-course beer-pairing dinner inspired by a Mexican Spring. Joining Chef Oz are participating chefs Lety McKenzie of Uptown Tavern, RoseAna Peyron of The High Dive, and Chef Jenny Goycochea of Brothers Provisions. Some of the last Stone Farms produce will be used for the meal. Tickets are $40. March 15, Ballast Point Beer Dinner At Top Of Market - Step up to the Top of the Market for a food and beer event not to be missed. Indulge in four courses of expertly prepared selections by Executive Chef Stafford Mather and his culinary team. Each Course will be crafted to pair with locally brewed beer from Ballast Point Brewery, presented by Ballast Point's own Colby Chandler. Tickets are $55. March 17, ShamROCK In The Gaslamp - It’s time to get your green on and let your inner leprechaun out to party! Discover the pot of gold at the end of the rainbow at one of the largest outdoor St. Patrick's Day parties on the West Coast when the 22nd annual shamROCK festival returns to take over the streets of San Diego's Gaslamp District. In addition to offering promo code SDVILLE for $5 savings on GA tickets and $10 on VIP, we are also raffling off 2 VIP passes to attend! Tickets start at $35. March 18, Taste What You Hear At Mike Hess Brewing - Don't miss the latest addition of Mike Hess Brewing's Friday Afternoon Club, hosted at the original Miramar location. Get ready to “taste what you hear,” as local 5 piece indie surf rock group Splavender will be performing a show of songs meant to be paired alongside a 5-beer taster flight. A guest brewer will be on hand to explain the beers and participants will receive a Splavender’s album. The event starts at 7pm and is free to attend, with a 5 beer flight and CD costing $20. March 18, A Berry Good Night For The Foundation At Rancho La Jolla - This is your chance to attend the event San Diego Magazine called "the best party invite of the year!" A special invite-only Berry Good Night benefiting the foundation which sprang from its community, the Berry Good Food Foundation. Hosted at a La Jolla Farms estate, this unique evening begins with a garden tour and cocktail hour featuring food and drink sourced and produced within 100 miles. 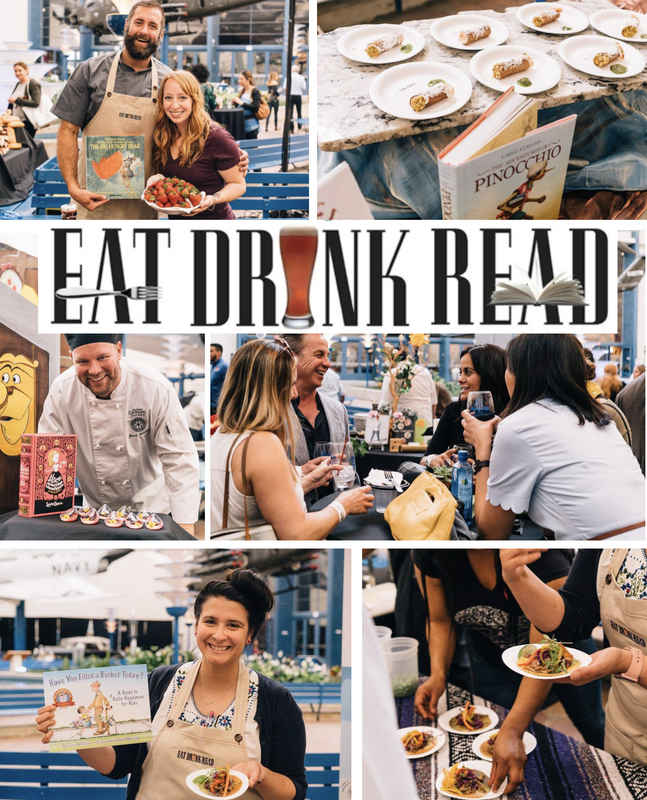 Created in collaboration with farmers, chefs, vintners and brewers from San Diego and Baja, this farm-to-table event should be unlike any other in the world. Meet and greet top chefs, local winemakers and young farmers with their animals and try your hand at various food preparation techniques at several interactive stations. Cocktail hour is followed by a multiple-course seated dinner with beverage pairings. Dinner is served al fresco in the gardens overlooking the ocean and features sustainably sourced local food, creatively prepared by some of San Diego and Baja's best food-and-drink talent. 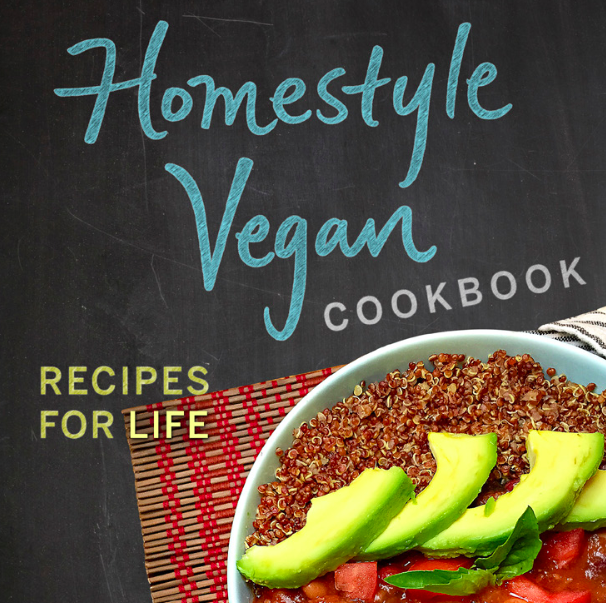 This one comes at the cost of $2,500 per table of 8 and all of the proceeds go to support the Foundation's food-related educational programs for children and adults, from growth and preparation to nutrition and environmental impact. March 19, Sabor Latino Beer, Wine & Food Fest - Capping off the 23rd Annual Latino Film Festival is the Sabor Latino Beer, Wine & Food Fest on Saturday, March 19, from 2-5pm, taking place outside the AMC 18 Theater at Fashion Valley Mall. 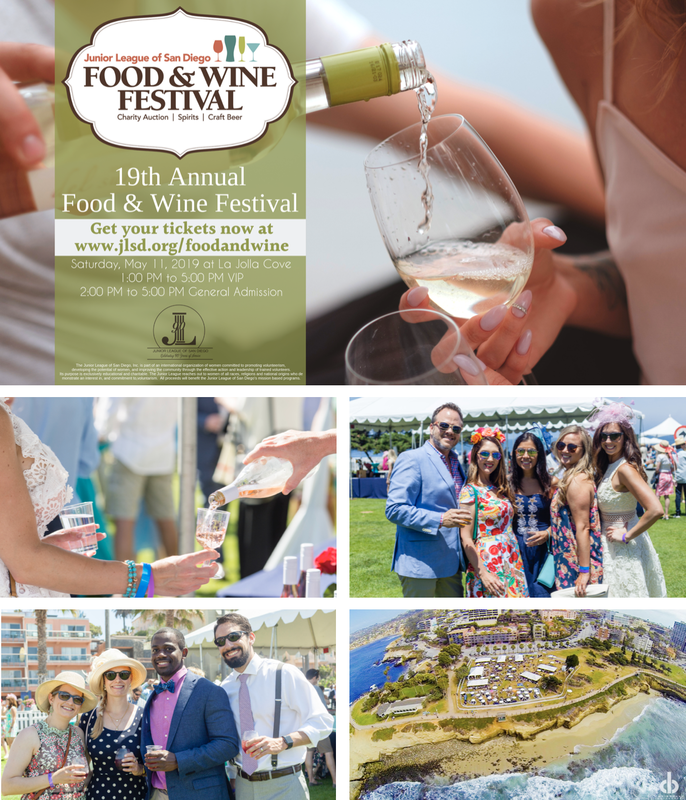 Get ready to enjoy Latin cuisine from some of San Diego and Baja's top chefs paired with the finest breweries and wineries from both sides of the border, as well as with live entertainment and performances. 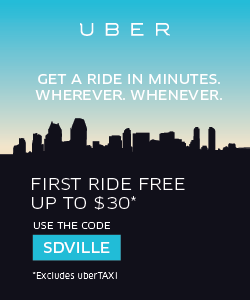 We are raffling off 2 VIP tickets to attend and offering promo code SDVILLE to save $5 per ticket! Tickets start at $20. March 19, Awesome Beers & Cheeseburgers At Brother's Provisions - Beers and cheeseburgers - a match made in heaven! Admission includes a commemorative 13 oz. tulip glass and 4-oz. tasters of the following beers - Goose Island Bourbon County Stout, Founder's Breakfast Stout, Hangar 24 Pugachev's Cobra, Prairie Bomb, Lost Abbey Bourbon Barrel-Aged Angel's Share, Lost Abbey Brandy Barrel-Aged Angel's Share. These beers will only be available to attendees of this event. Brother's Provisions will also be grilling up some mind-blowing cheeseburgers on the patio. Each cheeseburger will include an 8-oz. hand-formed beef patty, bacon, Red Dragon cheddar (made with mustard seeds and brown ale), stout-caramelized onions and mushrooms, a fried onion ring, roasted garlic aioli and arugula on a brioche bun with a side of french fries! Tickets start at $25. March 19, Berry Best Chocolate Fest - This inaugural events comes to Liberty Station, featuring chocolate, berries and fun for the whole family. From cupcakes to fudge, cakes to cookies, pies to donuts, candy and ice cream, and even a chocolate fountain, this event will be filled with delicious sweets. There will also be a cupcake decorating station for the kiddos, a cocktail lounge for the adults, an Easter Bunny photo booth and even a chocolate cream pie-eating contest. 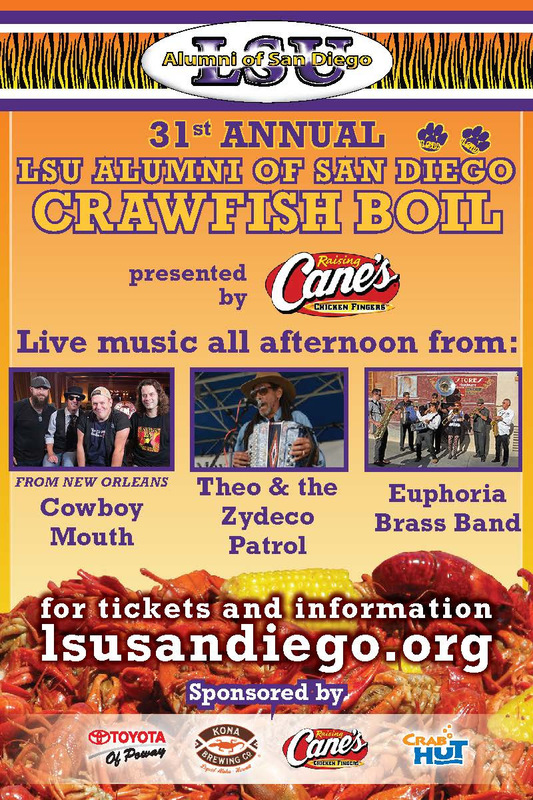 Tickets start at $15 and a portion of proceeds benefit The Helen Woodward Animal Center. March 19-20, San Diego 33rd Annual Cake Show - The annual Cake Show Competition Show will be held inside the Activity Center at the Del Mar Fairgrounds with proceeds benefitting the Ronald McDonald House Charities of San Diego. This event is the largest show of its kind in California. There will be celebrity appearances from some very gifted chefs & bakers from top TV Chef & Baking Competitions, as well as classes for beginners to advanced decorators available for purchase. On top of all that, there will also be hundreds of beautiful cakes and other sugar art items to view and enjoy. Tickets start at $8.50. March 20, Tablas Creek Vineyard Wine Pairing Dinner At Bankers Hill Bar + Restaurant - This four-course dinner will begin with an avocado and citrus salad with goat cheese, candied pistachios, grapefruit and lemon vinaigrette; paired with a 2014 Vermentino. For the second course, guests will enjoy strawberry bruschetta with Meyer lemon-fennel marmalade, whipped Boucheron and spiced almonds, served with a 2013 Patelin de Tablas. The entrée course will consist of short rib stroganoff made with house-made pappardelle, sherried mushrooms and English peas, paired with a 2013 Esprit de Tablas. The meal will conclude with BANKERS HILL’s famous butterscotch pudding with crème fraiche, pecan toffee and shortbread cookies, served with a 2012 Roussanne Vin de Paille. Dinner is $80 and reservations can be made by calling the restaurant at (619) 231-0222. March 20, Cultivating Conversations: A Dine & Learn Series At Olivewood Gardens - Visit Olivewood Gardens and Learning Center for an intimate outdoor dinner, guided tour, and thought-provoking discussion in a beautiful garden setting. 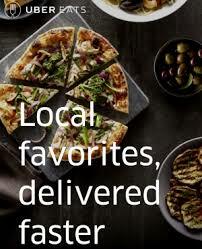 Engage with local experts and enjoy authentic farm-to-table cuisine from Tender Greens. Tickets are $75. March 20, Wax & Wine At The Knorr Candle Factory - To celebrate the 30th anniversary of the San Dieguito River Valley Conservancy, the group is hosting a Wax & Wine event at the Knorr Candle Factory - the #1 beeswax candle manufacturer in the world! Savor wine and gourmet food as you stroll through Knorr's lush gardens and patios, or join one of Knorr's artisan candle makers as he shows participants how to make beeswax candles. The Knorr Candle Shop will be open and offering a 15% discount on any Knorr Beeswax Product to Conservancy guests. Tickets are $50. March 20, Family Winemakers Of California San Diego Tasting - Get ready for a chance to taste wines from more than 100 wineries from 50 California appellations pouring over 35 varietals and over 500 different wines. Tickets include unlimited tastings, a commemorative wine glass, and a variety of cheeses, breads and crackers. If you like what you taste, wine orders may be placed at this tasting, to be shipped from the winery with many wineries offering special pricing on shipping and/or select wines. Tickets start at $75. March 20, The Fine Art of Tea & Chocolate At Marston House - Head to the beautiful grounds of the Marston House for savory talks and delicious tastings with samples of exquisite flavors and blends of gourmet teas and chocolates. Two eloquent experts will be on hand to explain the subtle distinctions and intricate varieties of tea leaves and cacao beans. Learn which blends are the most exotic, most flavorful, and best for your health. Tickets start at $8. March 20, Council Brewing Beer Dinner - For this special evening, Council Brewing is bringing together six of San Diegos top chefs - Matt Cammack of Hamiltons Tavern and South Park Brewing, Phillip Esteban of The Cork and Craft, Mike Arquines of The Lab Dining Sessions, Tyson Blake of O'Briens Pub, Nate Soroko of Toronado, and Kristianna Zabala of Nomad Donuts. Coming from various backgrounds with deep roots in the craft beer community, each chef has created a spectacular dish to highlight Councils beers. The dinner will include 5 courses, each paired with one of Council's specially crafted beers, featuring many of barrel aged beers, some of which have yet to be released to the public. Tickets are $75. March 21, La Serenissima At Cueva Bar - Enjoy a Vacation to Venice - Cueva Bar Style, as chef Oz and guests will serve Venetian themed dishes with a Cueva Bar twist, accompanied by wines from northeast Italy. Shannon Essa, who lives in San Diego but travels to Venice every year, will be on hand to talk about the food, wine and culture of "La Serenissima." Tickets are $55. March 22, Rudd Wine Dinner At Dobson’s Bar & Restaurant - Dobson's will host its first Rudd Oakville Estate wine dinner on Tuesday, March 22 starting at 6:30pm. The dinner features five courses prepared by Executive Chef Martin San Roman, thoughtfully paired with a variety of Rudd Oakville Estate wines by special guest Oscar Henquet, Managing Director of Rudd Oakville Estate. 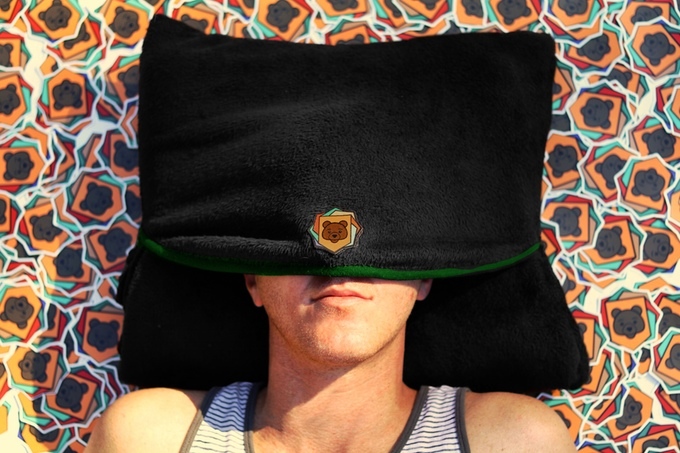 The price person is $175, tax and gratuity included. 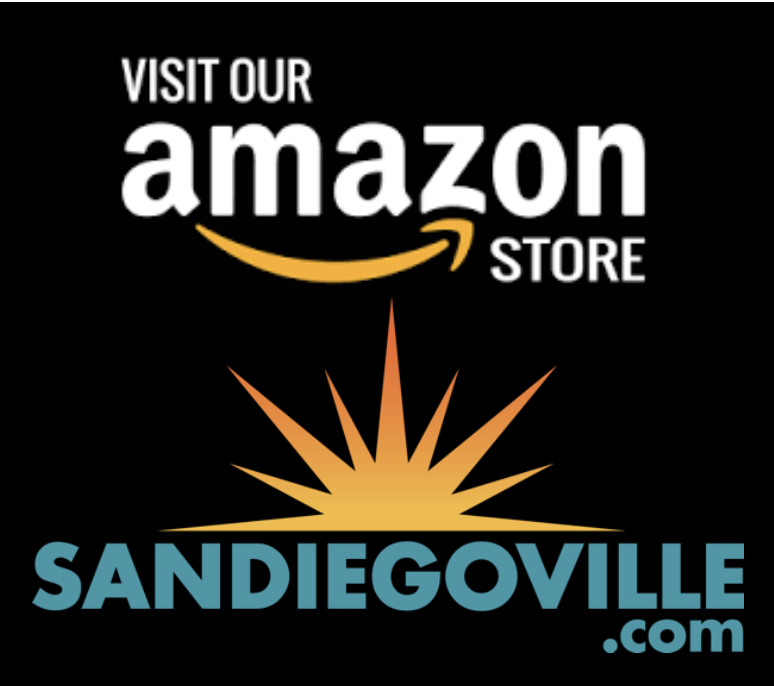 Reservations are highly recommended and can be made by calling (619) 213-6771. March 23, The Land & Water Co. Family Dinner - Carlsbads sustainable seafood mecca will bring in chefs Drew Deckman, Jason McLeod and Brandon Nichols to join Executive Chef Rob Ruiz to celebrate the anniversary of The Land & Water Co. with a mult-course feast paired with wine from Viñas de Garza. Tickets are $150. March 24, Barrel Smoker Dinner Series VI: Seafood Madness At Planet Rooth Design Haus - The 6th edition of the series will feature seafood-whisperer Mark Lane of Poppa's Fresh Fish Company, a local legend and a sea urchin authority. Also, the up and coming natural-born chef Stevan Novoa, who will show his sushi skills by creating japanese-peruvian style “tiraditos” with a Baja touch. Headlining the night is Chef James Montejano of La Valencia Hotel who will surprise diners with a seafood entree. To end the night with a high note, Andrea Davis of Andrea's Truffles will create hand-crafted chocolates. All Chefs will use the iQ Barrel Smoker, a revolutionary smoking device designed by Swedish master craftsman Gustaf Anders Rooth. The meal will be paired with a curated list of Baja wines. Tickets are $100. 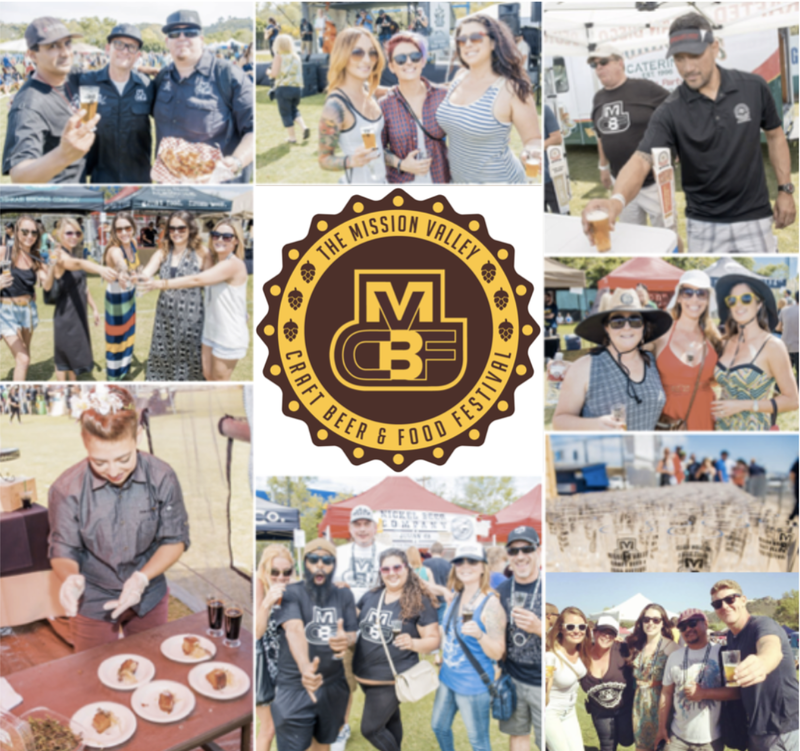 March 26, Mission Valley Craft Beer & Food Festival - Over the course of its five previous installments, the Mission Valley Craft Beer & Food Festival has come to be known by many as the tried-and-true, locals-friendly, best-value-in-town craft beer festival. MVCBF has always been reasonably priced and includes unlimited food and craft beer samples (plus spirits!) as well as great live music. 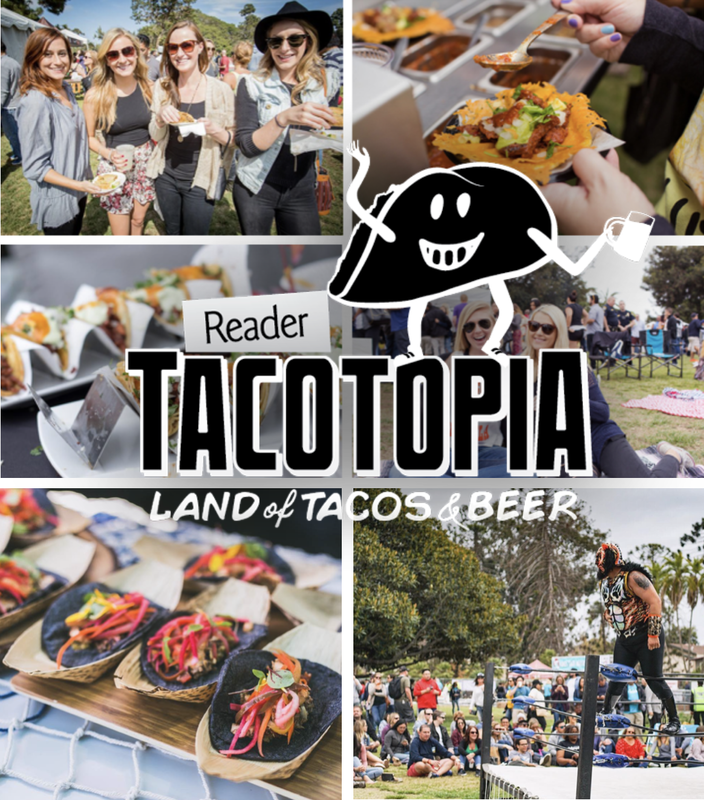 The event will return to take over the gigantic practice field at Qualcomm Stadium for a day devoted to America's finest craft brews paired with some of our city's best restaurants and chefs. 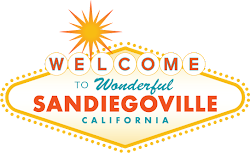 As always, SanDiegoVille readers save on any ticket type with promo code SDVILLE and we are also raffling off two VIP passes to attend. Tickets start at $50 and this event usually sells out. March 26, Bikes & Beers San Diego - The 3rd annual Bikes & Beers returns to San Diego, starting and ending in the East Village at the Quartyard urban park. The approximately 20-mile course will take 1000-plus riders throughout San Diego, offering glimpses of the majestic natural scenery that America's Finest City has to offer. Upon completion of the course, riders will enjoy a couple pints from a selection of San Diego’s finest craft breweries. There will also be food to sample from local food trucks, booths to peruse filled with bicycle related gear from local vendors and live music and entertainment. 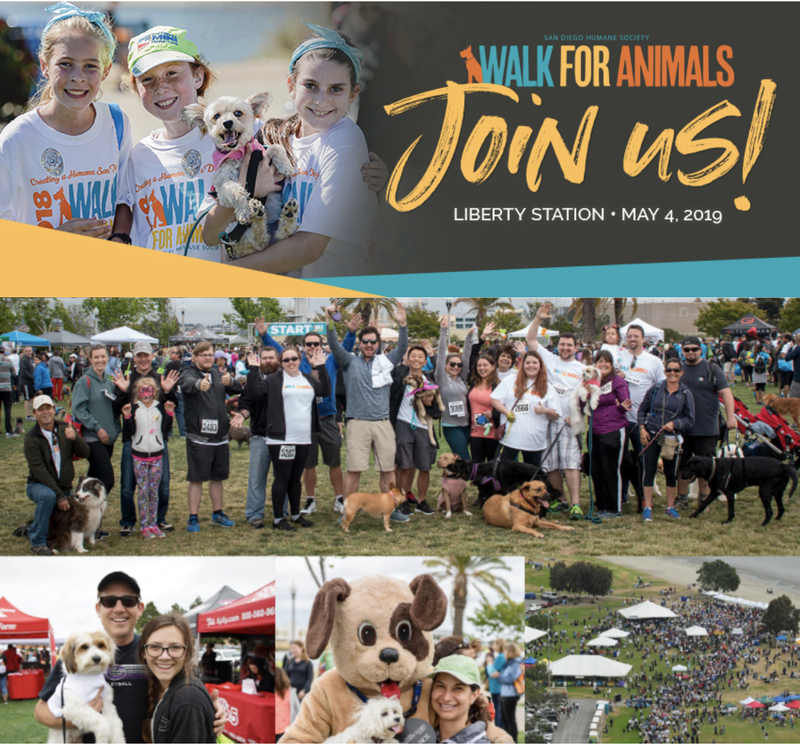 We are raffling off complimentary registration for two, as well as offering our readers promo code SDVILLE for $5 savings on each registration. March 29, Chef Celebration At Pamplemousse Grille - Every year, Chef Celebration holds a series of dinners in April featuring teams of award-winning local chefs who donate their time and talents to raise funds for the charity's annual culinary scholarship program. This year, the dinner series kicks off at Pamplemousse Grille with a multi-course meal prepared by Executive Chef Jeffrey Strauss as well as guest chefs Jeff Jackson of The Lodge at Torrey Pines, Hanis Cavin of Carnitas Snack Shack, Nickolas Bour of Humphrey's and James Montejano of La Valencia. Reservations can be made by calling (858) 792-9090. March 31, Chinese Food & Craft Beer Dinner At Emerald Chinese Cuisine - Convoy's dim sum destination, Emerald Chinese Cuisine, is bringing in Modern Times Beer for a 4 course tasting menu. This event is organized by popular Facebook Group Eating and Drinking in San Diego and tickets are $50.